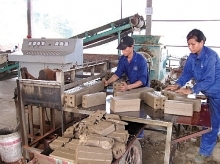 According to the municipal Department of Industry and Trade, the IIP last August increased by 6.15 percent from a year earlier. It added up to the 7.51-percent pace in the eight months while the figure in the same period last year was 7.31 percent. 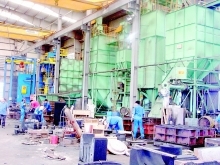 The August index was high compared to the modest expansion since April, showing industrial production is gaining momentum, creating a basis for the sector to achieve this year’s targets, the department said. 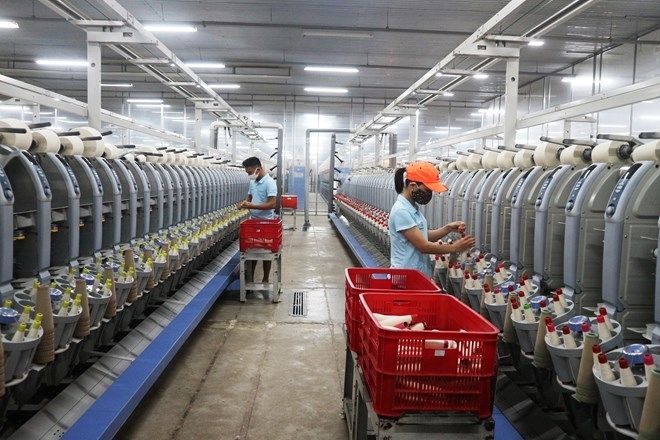 Deputy Director of the department Nguyen Phuong Dong said HCM City-based businesses maintained stable operations and growth in the first eight months of 2018. A favorable investment climate has helped the city attract many foreign and domestic investments into processing and manufacturing, he said, noting that foreign direct investment (FDI) capital poured into this industry accounted for 24.9 percent of total FDI inflow into HCM City. Maintained support has also aided key industries, helping local businesses expand markets, upgrade technology and improve product quality and competitiveness. 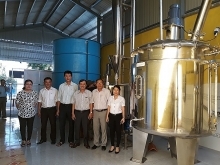 Among the key industries, the food processing and beverage sector increased by 7.32 percent, chemicals – rubber – plastics 3.66 percent, electronics production 15.89 percent, mechanics 10.13 percent, textile-garment 10.51 percent, and footwear 7 percent. Some businesses said the key industries’ growth was driven by the fast expansion of their sub-indices. Between January and August, total retail sales of goods and consumer service revenue in the city reached 679.8 trillion VND (US$29.4 billion), up 12.6 percent year on year, compared to the 10.3 percent in the same period last year. Notably, monthly spending per capita for food and beverages has risen by almost 13 percent each year over the past decade. Ly Kim Chi, Chairwoman of the Food and Foodstuff Association of HCM City, said the food and beverage sector is still a magnet for investors thanks to the market’s high growth rate and consumption demand. Total retail sales of food and foodstuff in the period were estimated at more than 75.5 trillion VND (US$3.3 billion) while export value reached US$118.87 million, up 13.6 percent and 14.5 percent year on year, respectively. The Department of Industry and Trade said it is working with the municipal Statistics Office to monitor the production and consumption situation so as to take measures to support local businesses.